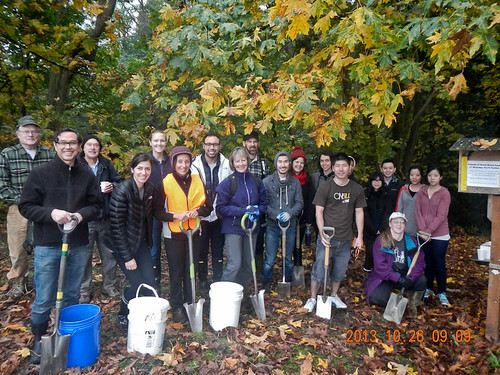 The October work party for Friends of North Beach Park featured a number of employees from Nordstrom as part of their participation in Forterra NW’s Carbon Capturing Companies program. 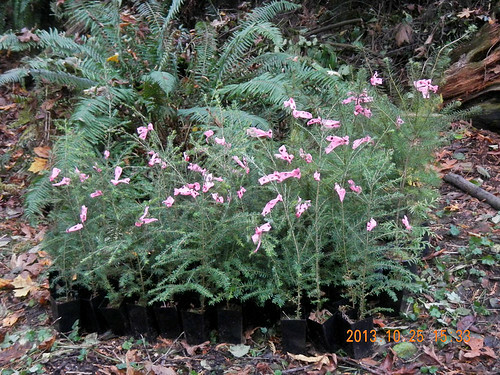 This allows Washington based companies to reduce their carbon footprint by helping to fund the planting of native conifers in parks and natural areas — such as North Beach Park. 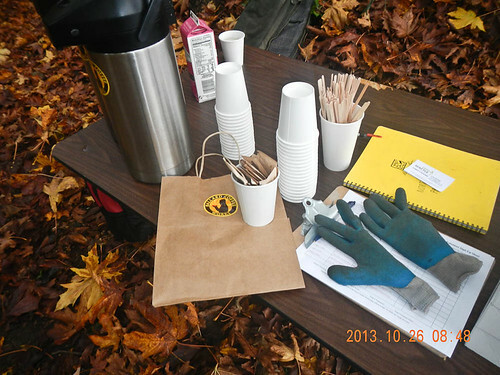 We also had coffee donated by Ballard Coffee Works, greatly appreciated on a chilly morning. And pastries from Larsen’s Bakery, courtesy of a generous donation from a neighbor. Here are the trees, tagged and ready to go. Mostly you see the western hemlock in this picture, of which we had 40. On the left in back are some Douglas Fir, of which we had 20. We were ready to go by 9:10! This many people meant planting 60 trees took hardly any time at all. In fact, even after mulching and watering and a brief coffee break, we had enough time for a tour of the park. I don’t need much encouragement to lead a tour through the park, stopping every 20 feet to talk about something or other. We did make sure everyone got to see the mature hemlocks in the park. We also found The Tire. It’s such a tradition to find at least one tire per work party, after everyone left the forest stewards were wondering what we’d do if we ever ran out. Unlikely to happen. I do remember the first several work parties we would bring up hundreds of pounds of trash as a matter of course. So a tire and a bag of bottles’n'cans is a vast improvement. The weather cooperated not just by being pleasantly brisk while we planted, but the sun came out during the time on our tour when we were in the biggest gap in the canopy, allowing us to bask and enjoy it. And just before taking this picture, during an opportune moment of silence, a soft wind came through the park that was too gentle for people to sense but brought a rain of leaves down from the maples. 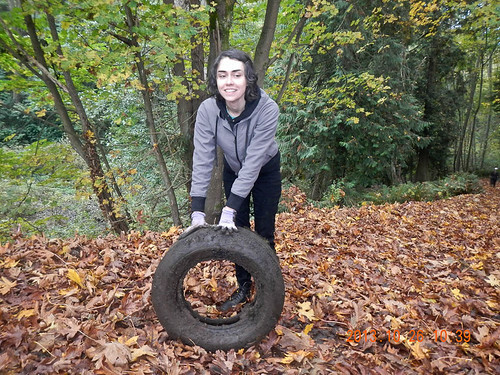 Next Saturday, November 2nd, is Green Seattle Day, with planting and cleaning events in parks all over Seattle (including Golden Gardens and Carkeek Park in Ballard). 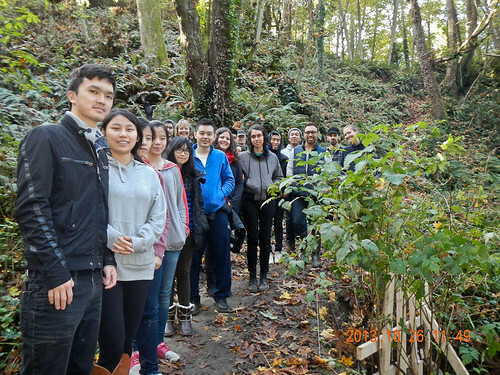 On November 9th, EarthCorps returns to North Beach Park for another planting work party. And on November 26th is the last Friends of North Beach Park work party of the year.